Utilities can be difficult to budget because of the fluctuation of your bills. 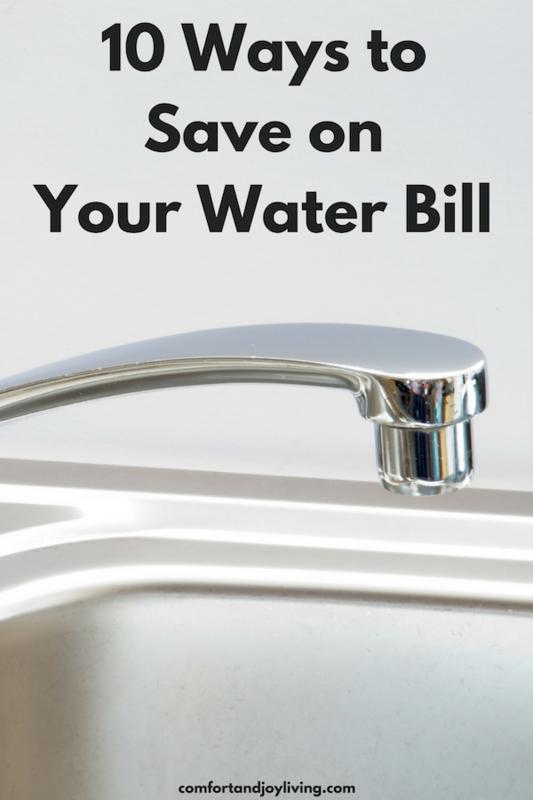 You may not be able to to predict how much your water bill will be, but here are some ways you can reduce your bill. 1. Take shorter showers. There’s nothing more relaxing than a long, hot shower after a stressful day, but when you’re trying to cut expenses, that’s just not practical. By cutting your time in the shower by about half, you’ll be able to save a significant amount. Also, if you have a conventional shower head, switch it with a more efficient low-flow shower head. 2. Turn off the water between rinses. Small actions like turning the faucet off between rinses while brushing your teeth or shaving can make a big enough impact on your water bill. 3. Put an aerator on your faucet. Aerators reduce the flow of water without decreasing water pressure. 4. Adjust the water level in your toilet tank. If you have an older toilet, it probably uses 4 gallons of water each time you flush. You can adjust the water level in the tank by placing a half gallon jug of water in the tank. Don’t use a brick—it will break down and leave sediment in the tank. 5. Wait for full loads. Wait to have full loads to do laundry. This goes for dishwashers too. 6. Wear clothing more than once before washing it. Some articles of clothing don’t need to be washed each time you wear them. Items like jeans, dress shirts and blouses, and pajamas can be worn more than once before washing them. Not only will you save water, your clothes will last longer since they wear faster if they are washed more often. 7. Don’t pre-rinse dishes. Not only will you save time, but you’ll save a lot more water by not pre-rinsing your dishes. All you have to do instead is scrape off the food bits and the dishwasher will do the rest. 8. Water your lawn early. When you water your lawn, either wake up early or set a timer on your sprinklers so it’s done early in the morning. 9. Be watchful of any leaks. Any time we’ve had a leaky faucet, I’ve seen an huge increase in our bill. This is one of the biggest wastes in your household budget, so if you find a leak, have it repaired promptly. 10. Update appliances. It seems counterproductive to spend more money to save money. But when you replace inefficient appliances, like your washing machine and dishwasher, with Energy Star ones, the increase in savings makes up for the extra expense.